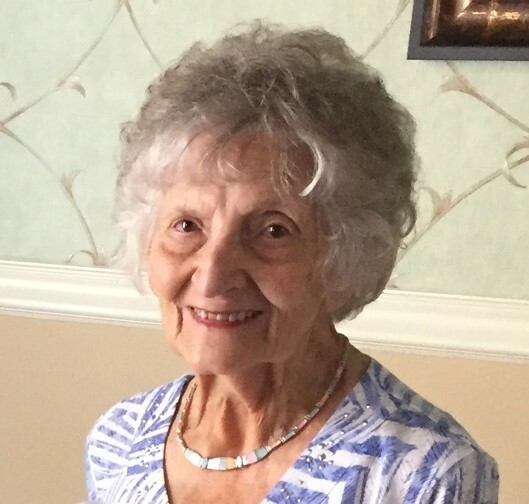 Maud R. McBride, a long time Brookfield and Sharpsville resident died August 2, 2018 in St Augustine, FL where she moved in 2013 to live with her son Stephen and his wife Mary Ellen. Mrs. McBride was born May 30, 1926 in Holidays Cove (now a neighborhood of Weirton), WV, a daughter of Joseph A. Kelly and Maud R. (Trewren) Hughes. She graduated high school in Hopedale, OH in 1944 and entered Sharon General School of Nursing under the United States Cadet Nurse Corps program. Its purpose was to ensure the country had enough nurses to care for its citizens at home and abroad during and after World War II. After graduation she completed her service at Sharon General Hospital where she continued to work for many years, rising to supervisory positions. After taking time off to raise a family, Maud was selected as the Brookfield School System Nurse in 1970. She continued in this position that she truly loved, until she retired in 1989. She and her husband, Richard, traveled frequently with a travel trailer and later a motor home visiting many US Parks and sites. Maud was an avid reader, enjoyed bridge, but more than anything, she was a care giver. Besides raising six children, she cared for ailing parents, gave comfort to neighbors, and assisted in the community wherever her special gifts could be best used. Maud was an active member of Brookfield United Methodist Church prior to her move to Florida. She had a key role in the success of many church spaghetti dinners and rummage sales. Surviving are her children, John D. McBride, Venice, FL; Stephen A. McBride and his wife Mary Ellen Davidson, St Augustine, FL; Linda J. Davis and her husband Michael Pfiffer, Denver, CO; Robert W. McBride and his wife Eugenia “Genie”, St Augustine, FL; and Beth Ann Badger and her husband, Scott, Exira, IA; her sister, Martha Ayres, Hermitage, PA; a brother, John G. Hughes and his wife Maxine, Mercer, PA; nine grandchildren; eight great-grandchildren; and many beloved nieces and nephews. Mrs. McBride was preceded in death by her husband of 54 years, James Richard McBride; a son, Kevin R. McBride; and two brothers, Joseph A. Kelly and David T. Kelly. Friends may pay their respects on Wednesday evening from 4:30-7:00PM at the Sample-O’Donnell Funeral Home 555 E. State Street Sharon, PA 16146. A funeral service will be held at noon on Thursday at the Brookfield United Methodist Church, located at 6951 Grove Street, Brookfield, Ohio 44403. Burial will follow at Brookfield Township Cemetery. In lieu of flowers, donations may be made in Maud’s honor to the Brookfield United Methodist Church or the American Cancer Society. Friends and family may visit www.sampleodonnellfh.com to view this obituary and send condolences to the McBride family.